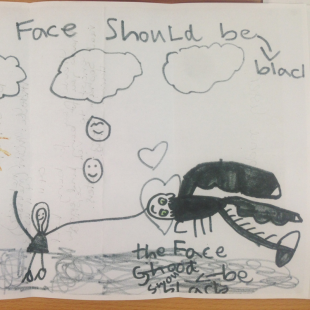 7-year old Sophie Lester asked science for a dragon and science replied. Perhaps the saddest part of a child's life is when they start to realize all the magical things their parents have been lying about don't really exist. In a few short years the world goes from a mysterious place full of tooth fairies, Santa Clauses and Cthulus to a cynical wasteland where innocence goes to die. That in mind, even being the jaded, cynical adults that we are, we still can't help but let out a big, loud "awwwww" after reading a recent news release from Australia's Commonwealth Scientific and Industrial Research Organization (CSIRO). You see, this past holiday 7-year old Sophie Lester told her parents to she wanted a dragon for Christmas. This, of course, put her parents in the sad position of informing the Khaleesi-in-training that it was simply something they couldn't do. Not wanting to completely dash her hopes however, they let her write to the scientists at CSIRO to ask if they might be able "make a dragon" for her. "I would call it Toothless if it was a girl and if it is a boy I would name it Stuart," she wrote. Rather than ignoring her letter, the CSIRO offered up a fairly classy reply. "Over the past 87 odd years we have not been able to create a dragon or dragon eggs," said CSIRO's Vanessa Hill. "We have sighted an eastern bearded dragon at one of our telescopes, observed dragonflies and even measured body temperatures of the mallee dragon. But our work has never ventured into dragons of the mythical, fire breathing variety." The statement then added, "For this Australia, we are sorry." It's a shame too, because we kind of like the look Sophie had in mind.